Home / Farm Life / Where the Heck is Pea Green? Pea Green is definitely off the beaten path. “Downtown” Pea Green (or Pea Green Corner as it’s called) is just a cross in the road. You have to slow down or you’ll miss it! 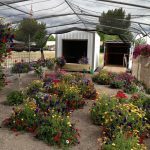 It is located in the Uncompahgre Valley at at the intersection of Banner Road and Highway 348 on California Mesa (that’s about 15 miles southwest of Delta). We have no stop lights, and the only traffic jams out here are when you run into a cattle drive. The area was first settled by homesteaders around 1884 when bands of Ute Indians still traveled through the area carrying their possessions on ponies. Many of the original families that came to live in the valley still farm the land that their grandparents originally settled. 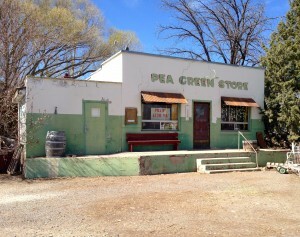 Pea Green has quite a colorful history, and the story is that it’s name from the color of the buildings. We were told that “back in the day” when it came time to paint the new community house, it was hard to come up with enough paint to do the job. In typical fashion, everyone got together and contributed whatever paint they had on hand. The paint-can combination mix resulted in the infamous “pea green” color. Today, fields of corn, onions and pinto beans cover the landscape in the summer. When winter arrives, many of the fields become home for herds of cattle that come down from grazing in the high country, and in the spring they will have their babies here in the valley. Much of the famous “Olathe Sweet Corn” is grown in the area and, beside larger scale farms and ranches, there is an eclectic mix of small agricultural concerns. 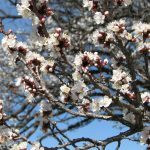 Besides our Organic farm, there’s also a vineyard, a hops farm, a tree farm, a small herd of Highland cattle, a lama and alpaca herd, and an outfitter. Pea Green Corner is the social hub of this historic farming and ranching community, and consists of the Pea Green store, the old schoolhouse and the community center. The community center, built in 1927, is listed on the National Register of Historical Places, and is still the venue where weddings, funerals, family reunions and other social gatherings are held. The monthly Pea Green Saturday Night concert series brings in quite a crowd to hear some great, old-time and bluegrass musical talent. The Facebook page for the event extends a warm welcome to “come by and associate with some of the most appreciative and well-behaved folks around and experience some of our local musical talent, sorry humor, and assorted foods.” It is a fun evening to tap your feet to the music that fills the hall, but come early to get a seat! 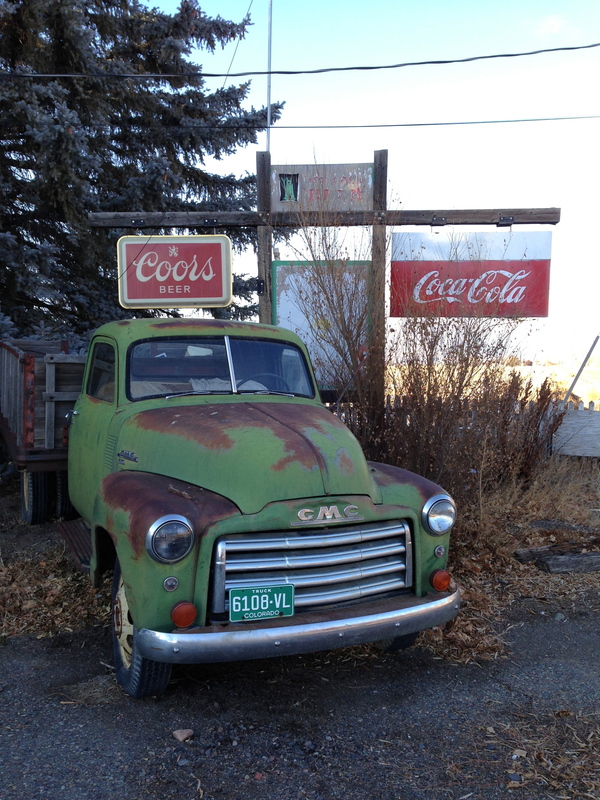 The Pea Green st ore is now closed, but it is a great place to pick up some vintage treasures at the Pickin’ At The Pea antique sales events held there. See their Facebook page for more information. 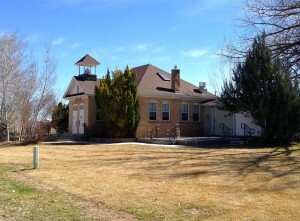 The Schoolhouse was built in 1912 and closed in 1968. 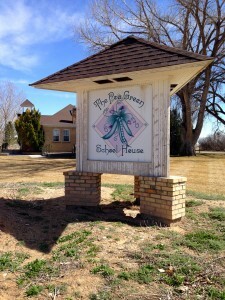 The tiny, historic schoolhouse held classes for the first grade through the twelve where a sliding wall divider separated the elementary class from the high schoolers. 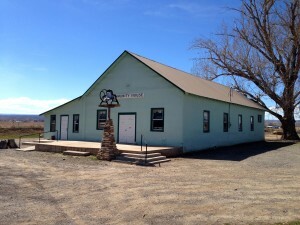 It has since been renovated, and was used as a store/restaurant for a short time. Pea Green is a beautiful location to live and farm. At an elevation of 5,307 feet we have sunny, warm days and cool nights with ample irrigation water and good soil. Back in the 80’s we used to take the back roads on our drives up to the Uncompaghre National Forest and discovered this beautiful little place. We fell in love with the area back then, and we feel lucky to now call Pea Green our home.